Located on Spain’s Mediterranean coast, just south of Alicante in the majestic region of Valencia, Las Colinas Golf & Country Club is quickly becoming one of Europe’s must-visit golfing destinations. Providing a relaxing and memorable haven away from the hustle and bustle of daily life, the all-encompassing facility has already successfully hosted a number of high-profile tournaments and is ranked among the finest golf courses in Europe receiving high acclaim from the world’s golf media. 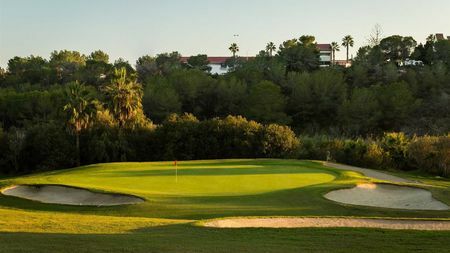 World renowned North American landscape architect, Cabell B. Robinson, designed the par-71, 6973 yard 18-hole championship course to offer visitors of all abilities an exciting and premium golf course within a unique setting. The course is home to perfectly manicured fairways and ideal putting surfaces with inspiring views of the nearby coastline. 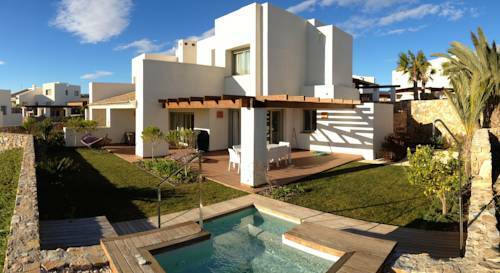 The warm Mediterranean climate will contribute to the enjoyment on this beautifully designed course. The golf course is managed by world-renowned golf management specialists Troon, who ensure that course conditioning, quality and service at Las Colinas Golf & Country Club is kept to a premium level. 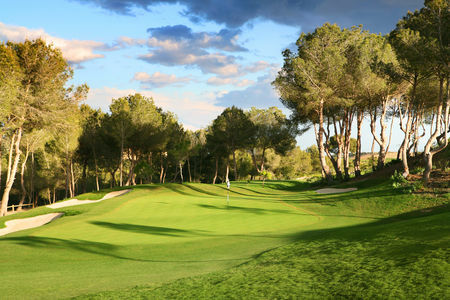 In addition to being one of the host venues for the prestigious European Tour Qualifying School, this Spanish gem has also been voted one of Golf World magazine’s Top 100 golf courses in Europe and is quickly establishing itself as one of the Continent’s most promising and exciting golfing propositions. The practice facilities at Las Colinas provide a fine learning environment, with attractive natural grass range where pyramids of TaylorMade balls await, as well as a large manicured putting green and separate short game area with bunkers. Directed by Head PGA Professional Robert Mitchell, the latest ultra high-speed video analysis technology, and AimPoint Green Reading instruction, ensures first-class coaching for golfers of all ages and abilities. A well designed and kept golf course with a very friendly team. Does not matter what is your HCP you can be sure that you will enjoy your game. Great course and perfect design by Cabell B. Robinson. Like in real championship conditions. The course is not that hard, except when the wind is up. Fairways are not that narrow but it is a technical course. The only thing I can say about the course is the way between each holes is a bit long so I recommend a golf cart. 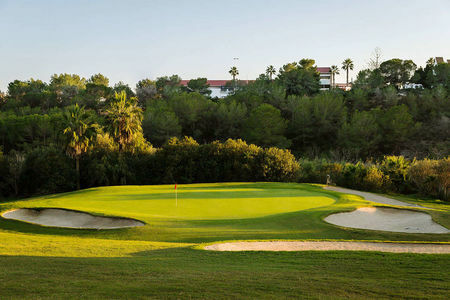 We were very happy to discover that the variety of holes in Las Colinas is excellent. You can find long walks between greens and tees. In my opinion, the greatest holes are number three and number eleven. In the third you hit from an elevated teedown onto a benevolent fairway. The eleventh is the longest hole which requires a crucial accuracy as it has some critical bunkers to dodge. I strongly recommend golf cart. In Las Colinas is pretty far to walk between the golf holes. 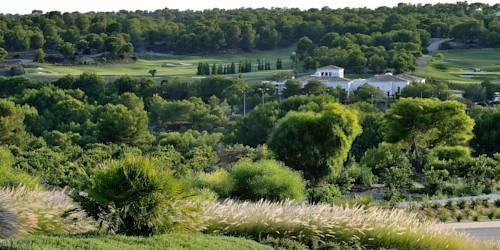 Tenía muchas ganas de jugar en Las Colinas ya que fue diseñado por el norteamericano Cabell B. Robinson, quien realizó la impresionante reserva de Sotogrande. Las calles son anchas con un recorrido ameno y entretenido. Las 330 hectáreas de valle entre colinas y cerca del mar alicantina hacen disfrutar cada golpeo de pelota. Si se va en familia, recomiendo totalmente complementar la escapada con un vuelo en globo en las cercanías donde se ven unas vistas espectaculares. 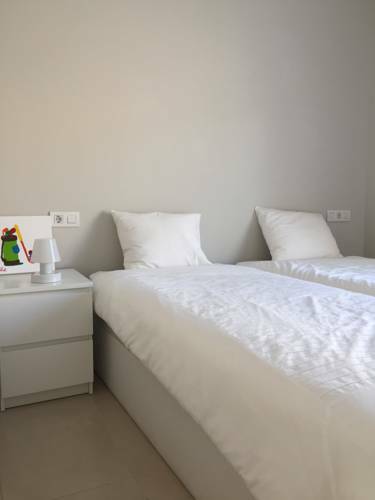 - I really wanted to play in Las Colinas since it was designed by American Cabell B. Robinson, who made an impressive work in the famous Sotogrande reserve. The fairways are wide with a fun and entertaining path. The 330 hectare valley between hills and near the sea of Alicante makes that golfers enjoy every time they hit the ball. If you go in a familiar getaway, I absolutely recommend a supplement balloon flight activity in the surroundings where the views are spectacular.